I like to play chess and I like to watch chess. 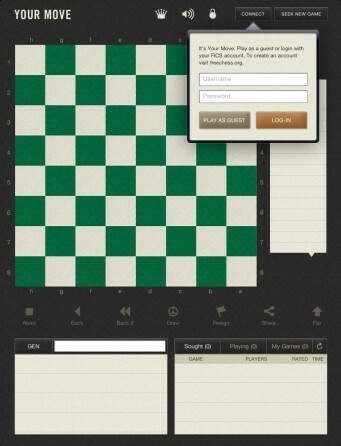 Your Move is the FICS interface that I wanted to use but couldn’t find on the iPad. So I made one. The design of the board is based on the green and white tournament and club sets that we’ve all played on. The pieces are all original illustrations based on the old chess books we’ve all learned from. The clock is a simple digital display and the board itself and its highlights have a rich and subtle texture that you can play on for hours. 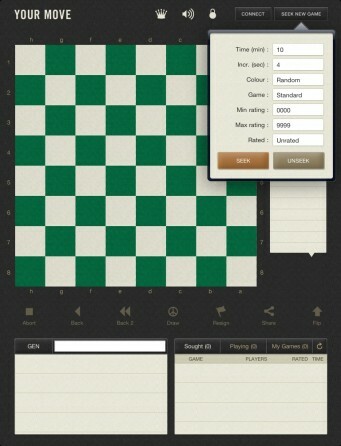 The Free Internet Chess Server is one of the oldest and biggest chess servers online. There is never any shortage of games to watch or people to play against. 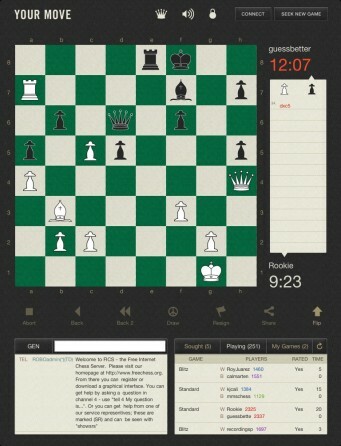 At any given time there are hundreds of games going on, all over the world, playing chess. My goal was to make a FICS client for the iPad that I could use. I hope you enjoy playing on it as much as I enjoyed making it.